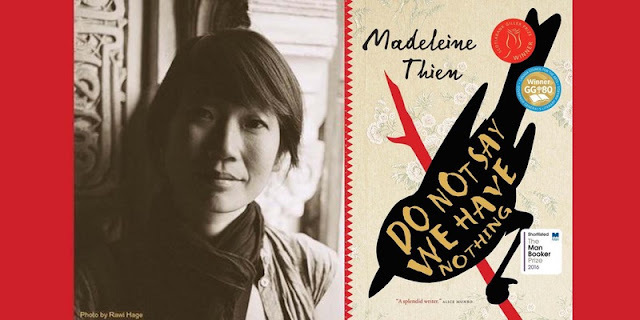 Join internationally-acclaimed Canadian novelist Madeleine Thien for an exclusive, intimate evening conversation about her latest book, Do Not Say We Have Nothing. The event is a fundraiser for the One To One Literacy Society and will highlight one of the most celebrated authors of 2016. CBC has declared her "Canada's newest literary star." The New York Times says, "Thien writes with the mastery of a conductor who is as in command of the symphony’s tempo as she is attuned to the nuances of each individual instrument." Do Not Say We Have Nothing won the Governor-General's Literary Award for Fiction and the Giller Prize, and it was shortlisted for the Man Booker Prize. Madeleine will read selections from the work and answer your questions about the novel, the art of writing, and life after gaining literary celebrity. Hosted by New Westminster writer, JJ Lee, it will be an evening of book talk, refreshments, food, and good company by a roaring fire. Questions? Call JJ Lee, at 604-540-1793. The event is held in sponsorship with the Art Council of New Westminster and Fresh St. Market. Net proceeds benefitting the ONE TO ONE Literacy Society, a unique children’s literacy program that provides one-to-one tutoring to children in elementary schools during regular school hours. Their trained volunteer tutors work with students who are identified by their teachers as needing a boost in their literacy skills. Typically, each student spends approximately 30 minutes two to four times a week with a volunteer tutor. ONE TO ONE provides these children with an opportunity to practice their reading in an environment where it is okay to take risks, make mistakes, and learn at their own pace. A charitable receipt for a portion of admission will be issued by the society to ticket holders.